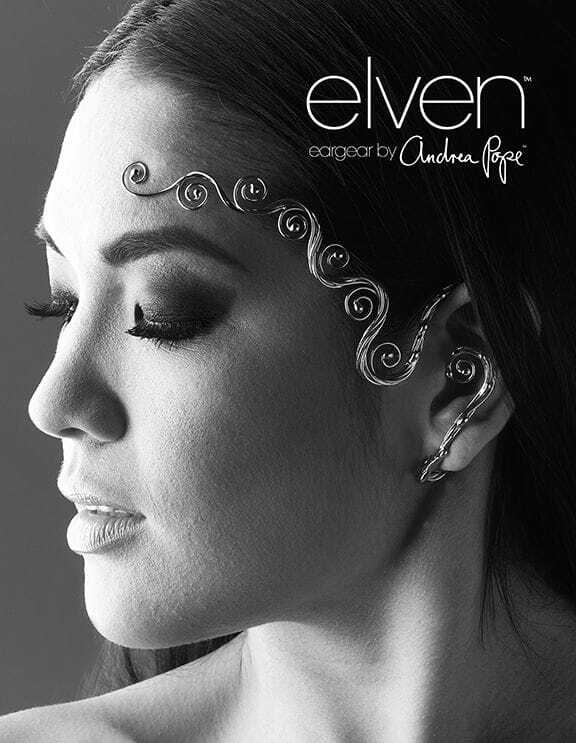 Elven Eargear is about turning heads. Beauty and confidence radiates when one wears these charming pieces. Uniquely designed with personal adjustability built into the nature of the ear piece, Eargear wraps around the back of the ear, molds to ones face and ear shape, and is stabilized with a clip - no piercings required.